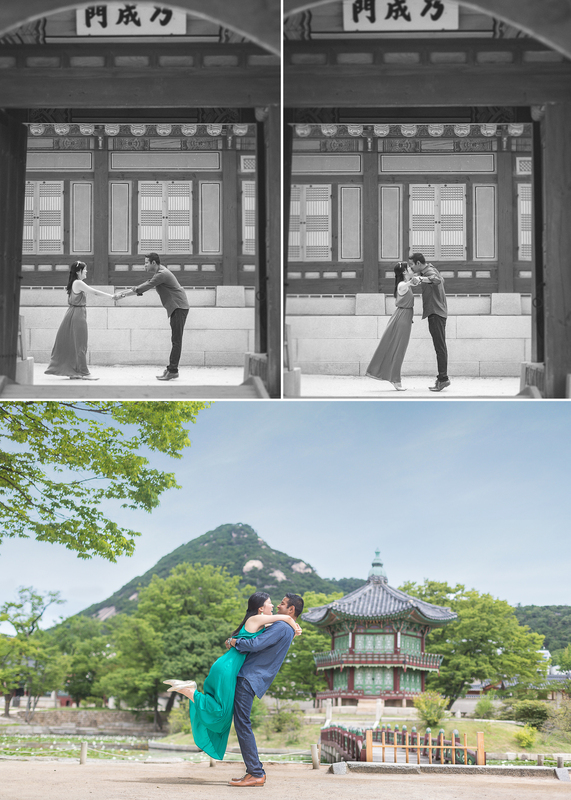 Benny contacted me for his surprise proposal pictures in Korea. The plan was for me to pretend to be a tour guide trying to increase his business by taking pictures to show potential clients. I printed fake business cards and referred them to an actual tour guide website to make it believable. I assured Benny that I had done this many times before and it wouldn’t be obvious. 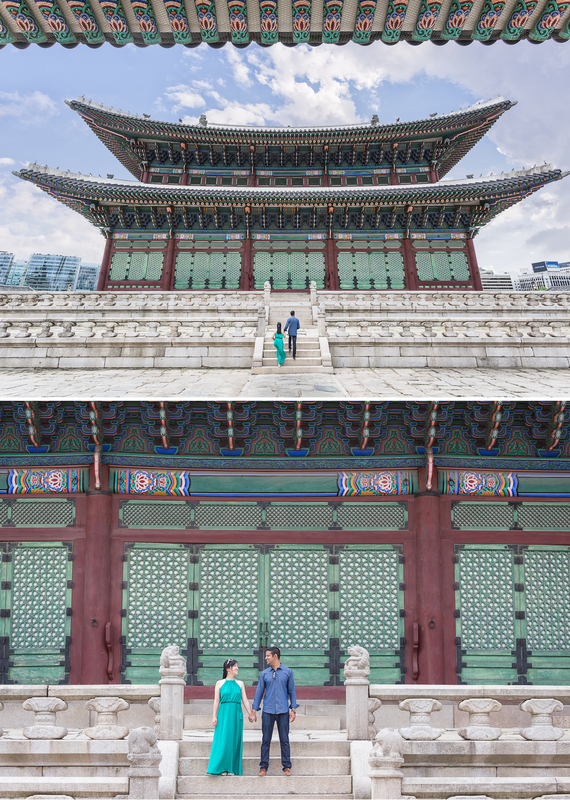 However, I knew it wasn’t going to be an easy sell since his fiance, Helen, had actually been living in Korea for a long time and out of all places, near the Korean Palace! I looked up some historical facts about the palace to use as my tour guide routine the night before the shoot. On the day of the proposal shoot, I met with Benny and Helen and began the tour by stating some basic facts. There were a couple of instances when I stopped myself from saying anything more because it was obvious Helen actually knew more than me on some parts…haha. Benny and I had decided that the tour guide act would be really short and we would go to the pre-designated proposal spot right away to avoid any suspicion. We reached the proposal spot and everything went as planned. 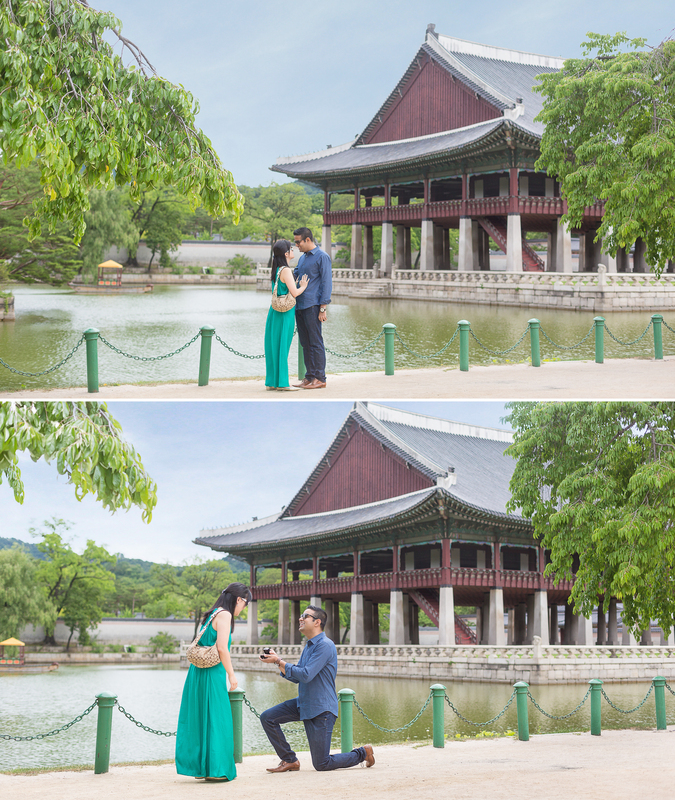 Most importantly, Helen was indeed surprised by the proposal. We asked her afterwards if she were suspicious at all and she said she just thought I was a bad tour guide…haha. 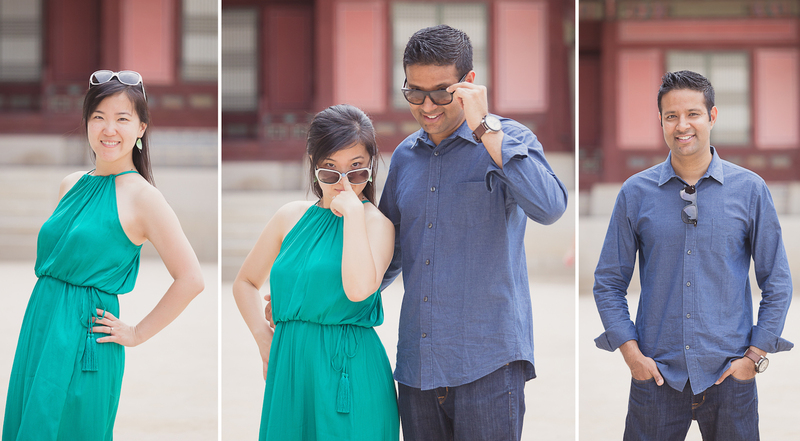 We ended the proposal session by taking some standard engagement pictures in the palace. We had originally planned to go immediately to a second location for more engagement pictures, but we decided to meet later in the day so Helen could spend some time celebrating with her family who were also in on the proposal and waiting for her to return home. The second part of their session can be seen here: Benny & Helen’s Engagement Pictures.